The Holiday Inn Express at Bricktown began, in concept, as an adaptive re-use of an existing dairy building in the heart of the historic Bricktown district. 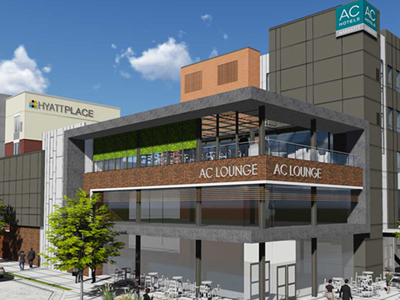 The design for the hotel complies with Intercontinental Group Hotel standards as well as the heightened design standards of the Bricktown Design Review process which mandated a brick facade. The design for the building envelope draws inspiration from the surrounding brick warehouses as well as the former dairy building that previously occupied the site. Within the building’s one-square-block area, designers were able to incorporate a 124-room, 16,700-square-foot hotel complete with guest suites, food service, meeting areas, fitness center and outdoor pool and recreation areas. The finishes and proportions of the final product express the quality of the Holiday Inn Express brand. Construction was completed in January 2015.